Guest: 長与千種 (Chigusa Nagayo), a professional female wrestler best known for her mainstream popularity in the 1980s as a member of the tag team The Crush Gals with long-time partner Lioness Asuka. 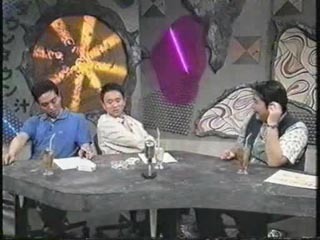 This episode marks Itao leaving the show abruptly, he used to sit next to Matsumoto so he jokes about this by turning to the person next to him and calling them Itao. According to Japanese Wikipedia, Itao Itsuji got involved with a girl later found to be underage. This scandal led to him having to step down from TV work until his appeal went through. 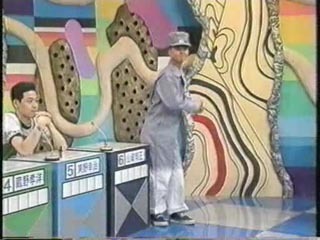 Matsumoto mocks Housei's clothing as being like a "Baka Baker". Later he also tries to up the momentum and quiet atmosphere by getting everyone to pick up the pace with random answers and cheers of "Yeah" and "Go! Go! ".